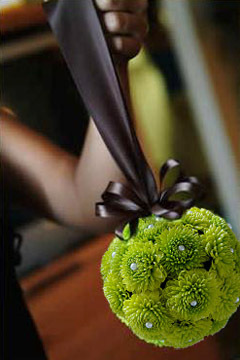 The floral pomander ball is also known as the kissing ball. 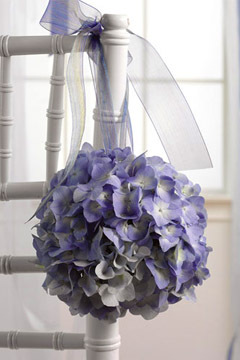 This lovely flower ball can be used as a wedding table centerpiece or simply suspended from a loop of decorative ribbon, rope or cord. 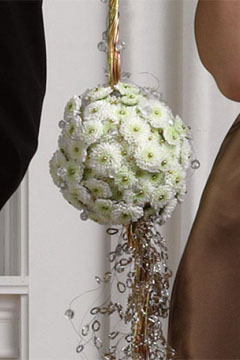 The ball of flowers can either be held as a bouquet or used as wedding pew decorations for the ceremony - and at the wedding reception too. 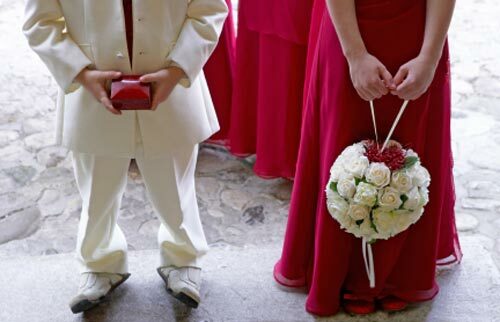 Adult attendants in the bridal party can carry these lovely bouquets too, but young attendants such as flower girls and junior bridesmaids most often carry them as they are so practical and easy to hold. They can be decorated and adorned with just about anything. My favourite embellishments are pearls and swarovski crystals attached to thin floristry wire and placed in between each flower. 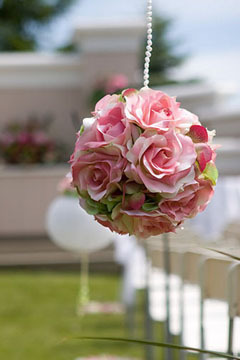 If you're a do it yourself kind of bride, here's a floral arranging video tutorial with step by step instructions on how to make wedding flower balls in 20 minutes - in 5 easy steps. 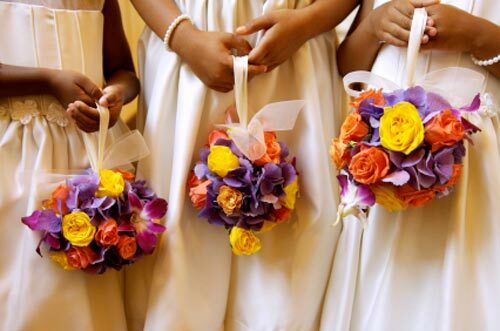 Three young flowergirls holding yellow, orange and purple kissing ball bouquets. A young flowergirl holding a white rose flower ball.